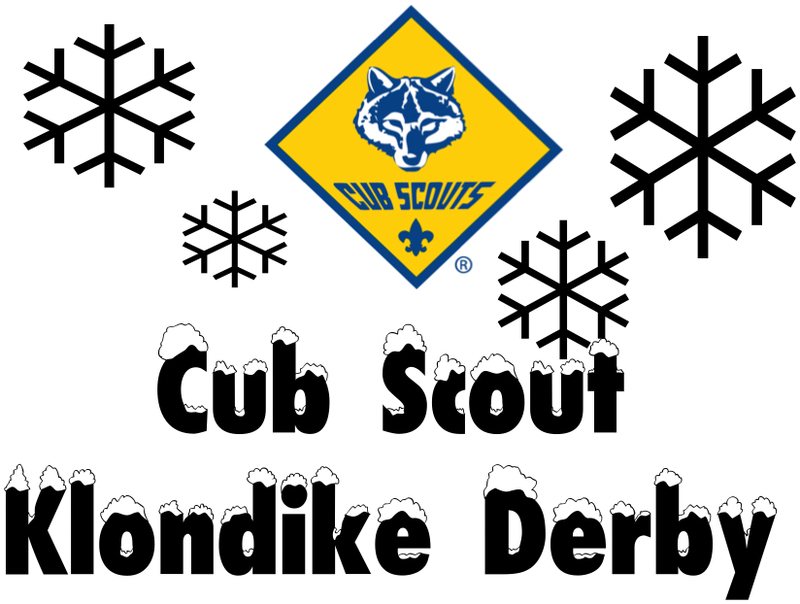 Come on out and enjoy the fun at this year’s Cub Scout Klondike Derby! When: Friday thru Sunday - January 18 to 20 - The event will run from Friday night through Saturday night, but you can come out just for Saturday if you like. Where: Camp De Soto - Located at 174 Camp De Soto Road, El Dorado, AR. What is a Klondike Derby? Its a blast! See the schedule below to see the activities that Scouts will be able to participate in over the weekend. 11:30am - 12:30pm - Lunch & Chili Cook Off!! Register before Monday, January 14th and SAVE $10!!! You can register using the online form below or print out and mail in your registration form. The registration fee is $15 per person for adult or Scout (fee increases to $25 if registering on Monday, January 14th or later. Youth under 5 years old are free. We will be having our fundraiser breakfast for $5 per person and for those interested in having chili for lunch from the cook off tickets are $5. If you, your den, your pack or a group of parents are interested in competing in the chili cook off use the button below to visit the page with the rules and registration form.